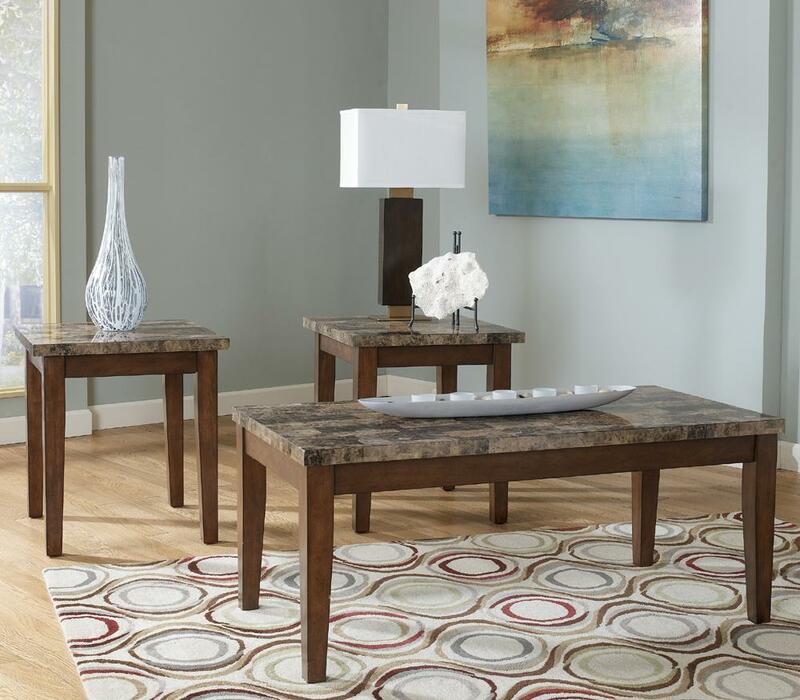 Dress up your living room with this set of faux marble top occasional tables. 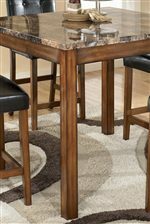 The three-piece set includes a rectangular cocktail table for the center of your seating group in front of your sofa as well as two end tables to use next to an accent chair and loveseat. This sophisticated set lets you accessorize in style. Cocktail Table: W-47.75" D-23.75" H-19.13"
End Table: W- 22.13" x 23.75" x 24"
The Theo 3-in-1 Pack of Occasional Tables with Faux Marble Tops by Signature Design by Ashley at Michael's Furniture Warehouse in the San Fernando & Los Angeles area. Product availability may vary. Contact us for the most current availability on this product. Drawer / Shelf Construction Framed drawers and doors. The Theo collection is a great option if you are looking for Transitional furniture in the San Fernando & Los Angeles area. Browse other items in the Theo collection from Michael's Furniture Warehouse in the San Fernando & Los Angeles area.